A before and after view of the metrodome. The dome was deflated about a week ago in the beginning stages of being dismantled for a new billion dollar stadium being built on the same footprint. 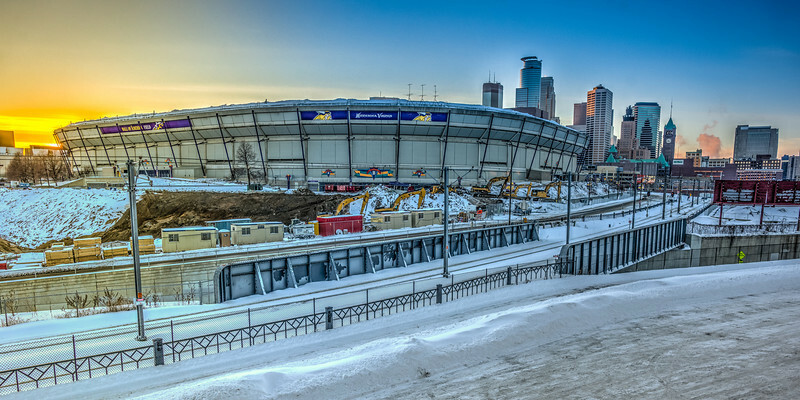 Here’s a view of the Metrodome shortly after the deflation. They basically cut the power and the dome deflated. You’ll notice the line up of heavy machinery. To the left, outside of the framer, there is a giant hole being dug even as I took this on a weekend. 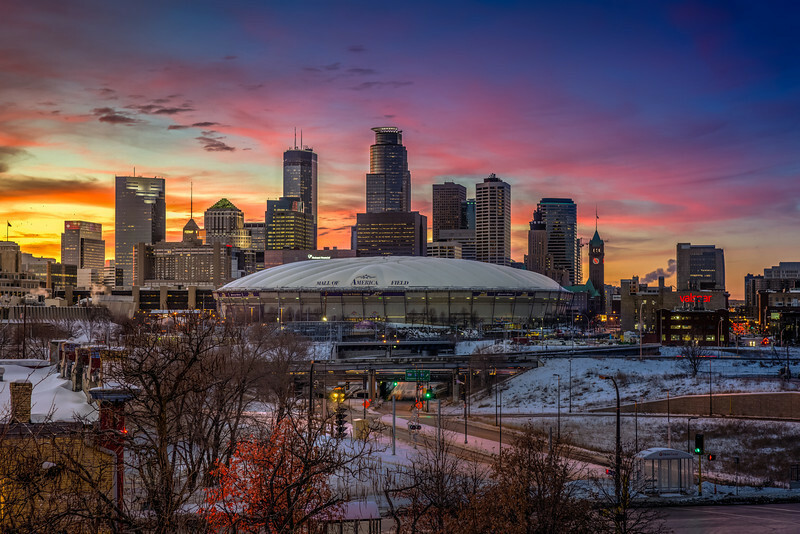 To see more of Minneapolis go here otherwise feel free to check out my photo page on Facebook! I love the images. I saw some great games in the metronome, but I think that it was time for it to go. Thanks and I agree with you.